A fair complexion and even skin tone are things most women wish for. You can achieve this by using skin bleaching soap or taking some skin bleaching pills. To do this effectively, it is important to know what the best bleaching soap is, the best bleaching soap for dark skin as well as what are the best skin bleaching pills. 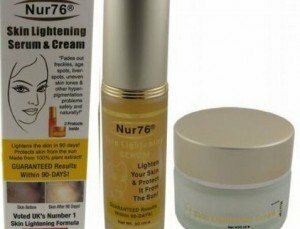 Most skin bleaching products work by blocking the production of melanin. These contain ingredients that inhibit melanin. However there are some that work through synthesis of any melanin produced. Bleaching soaps are a great bleaching option as they could make use of combined bleaching agents. There are different types of bleaching soaps mostly classified depending on their active ingredients. Arbutin Soap: The bleaching agent arbutin is derived from bearberry and various types of pears. It contains melanin inhibiting properties and is a safe alternative to many chemicals contained in bleaching products. It works fast and does not only bleach skin but keeps it moisturized as well. It also has the ability to filter out UV rays. This makes it such a great option for bleaching. Kojic soap: This contains ingredients that promote a lighter skin. It helps to get rid of any uneven skin tone and lighten up skin. Its use could cause irritation to skin that is sensitive. Papaya soaps: These have been in the market for quite a while. They are among the first bleaching soaps for skin to emerge early in history. Apart from leaving the skin lighter, papaya soaps are also capable of dealing with acne breakouts. They however have a drying effect on the skin and one has to keep using a moisturizer to prevent skin from breaking out. Glutathione soaps: These are a fairy new group of bleaching soaps. Glutathione as a bleaching agent contains antioxidants which help in ridding off the skin oxidative stress. It also leaves the skin looking younger and firmer. Other than these types of skin bleaching soap made from natural ingredients, there may be others promising even faster results. It is important to find out what ingredients they contain to avoid getting fast results which may have negative effects on the skin as well as in the overall health of an individual. Skin bleaching soap for African Americans should be formulated with the high amount of melanin in them on mind. For black people, using normal formulations may take a while for results to be seen. Opting for soaps specially made for people with dark skin may help to yield better results fast. One such soap is Pervil Soap. This stimulates cell growth thus increasing the cell turnover. It may as a result have drying effects. 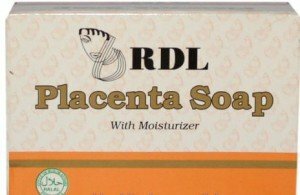 Reviews for skin bleaching soap are available online. These are mostly done by two groups of people. They could be done by professionals in skin care or individuals who have used the products. These are important to go through so as to have enough information regarding a soap’s ingredients, cost, side effects and effectiveness. The market for bleaching products continues to grow tremendously. As a result, it is possible for counterfeit and sub-standard goods to find their way into the market. For people who settle for skin bleaching pills, always buy them from safe sources. Even then, ensure you examine the capsules or tablets for what they contain as active ingredients and check whether they are approved by the health department. Weigh their side effects and get a way to evaluate if they are what you want. Kyusoku Bihaku Supplements: These capsules are popular worldwide. They are manufactured in Japan and contain glutathione which is in its reduced grade. They help in enhancing the skin’s complexion and give it a vibrant look. Its popularity may be attributed to its availability, affordability and effectiveness. Fairtone Skin Lightening Pills: These are a natural skin bleaching treatment that helps in brightening up the complexion. They contain no harsh chemicals and are made up of natural ingredients. 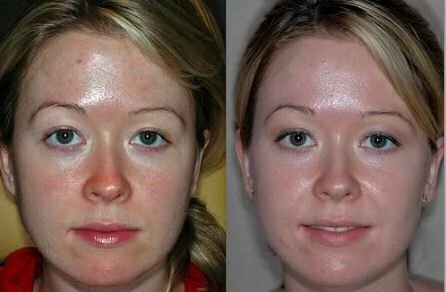 These skin bleaching pills work by eliminating free radicals and oxidants. This helps to revitalize the skin to give it a perfect renewed look. It has no harsh chemicals. The product has been clinically tested and desired results are likely to be attained within three months. BeauOxi White Plus 5in1 Pills: This brand contains pills formulated using five active ingredients. The product is said to yield results within seven weeks of use. They can be used to bleach dark spots, underarms and give the skin a fairer tone. Their effectiveness is improved by the presence of antioxidants. These are suitable for people of all skin tones but those with dark skin will take the pills longer to get results while lighter individuals will take lesser time. For any skin bleaching to work, it has to contain some bleaching agent. However, not all agents are safe. 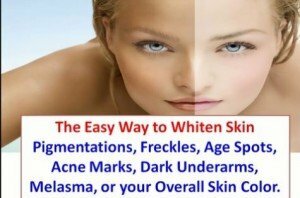 The best pills for bleaching your skin are those containing safe bleaching agents, have been clinically tested and have minimal if any side effects. Reviews found online can help in choosing the best.